Elegant by nature, sophisticated in style, "Entropy" explores what happens to regular circus acts when additional factors are introduced. Bodies entangled in rope are pushed off balance and props are stolen mid-trick, water spilt and apples split. Dynamic and powerful, these acrobats show an incredible level of physical prowess whilst maintaining femininity. They perform awe-inspiring lifts and balances with apparent ease, defying their lithe physiques. 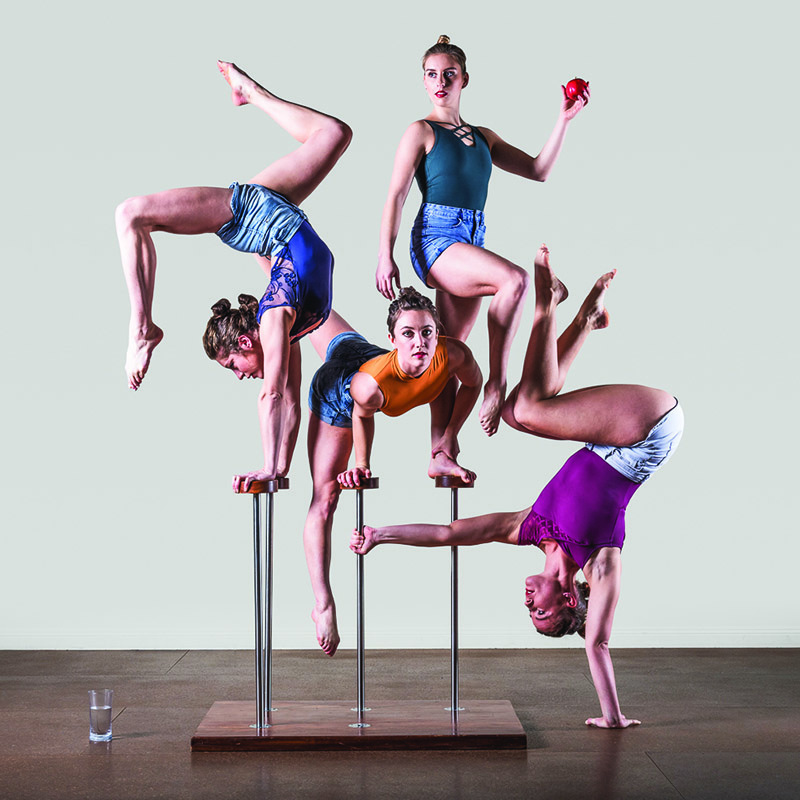 2016 Gasworks Circus Showdown winners, TEOC bring their unique dialogue of movement and circus to life with a fluid sense of chaotic choreography. The cast has an inimitable sassy style with their collective skill set and are dauntlessly breaking all the rules. The cast of TEOC strives to be the best of themselves as individual artists. There are no parallels drawn to male acrobats and no suggestion of gender comparison, which sets this work apart from many other ‘women only’ shows. The TEOC Circus strong women are feminine in all the right ways, whilst showcasing a high skill level, these women take on all roles with elegance, power and beauty.